There good old peanut butter is one of the healthiest snacks that have been around for a long time. It tastes great, can be easily eaten by simply putting it on a slice of bread or by having it directly, and it also provides a ton of nutritional benefits. However, unfortunately it has got a bad rap in the last few decades amongst the "low fat" groups and due to some researches showing that it can be unhealthy. Clearly a great choice, that will make you feel a lot more satisfied than some other snack options that will just leave your hungrier. This also makes it a great choice for those looking to lose fat. It will provide a lot of energy for you to battle those cravings, and the monounsaturated fat in them will make you heart healthy too. Plus the protein will help improve your metabolism, and make it relatively easier to keep your midsection tight. 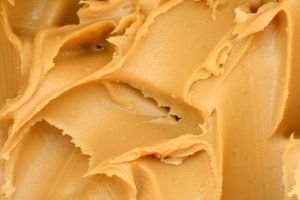 For those of you looking to gain weight and muscle, peanut butter is again a great choice. Since it is high in energy, it can be used as a great snack to keep the body in an anabolic stage, plus the testosterone boost from it will only further help your cause. So reach out for a peanut butter sandwich for a great muscle building snack. I would however avoid having the sandwiches with jelly, and keep it to simple peanut butter and bread. Another great option is to have it with bananas and apples. And in these 3 simple steps you are ready to have your own homemade peanut butter. Now who said that healthy meal preparation have to be tough? A word of caution though, if you are allergic to peanuts, then you may want to avoid them. Also for most people more than 30 gms of peanut butter a day may be eating too much, and it may be ideal to keep it around 20-25 gms, along with some other nuts. Also home made peanut butter does not have a long shelf life, so finish them in 3-5 days after making it, rather than try to keep it for 2 weeks. So go ahead and make this superfood of champions a part of your regular healthy diet, that will help you lose fat, get strong, muscular, and make you feel great.